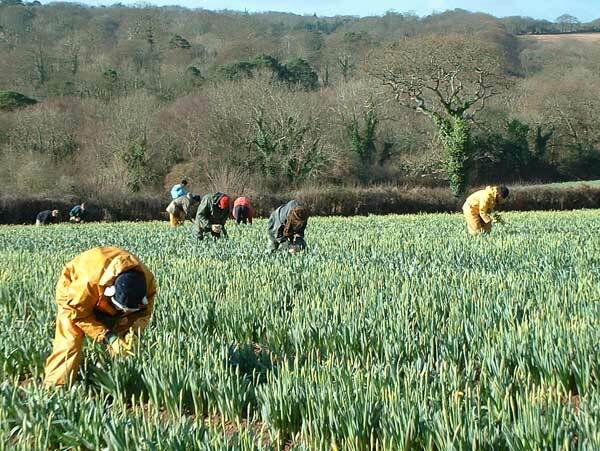 For more than 100 years daffodil growing has been an important industry in West Cornwall and the Isles of Scilly. 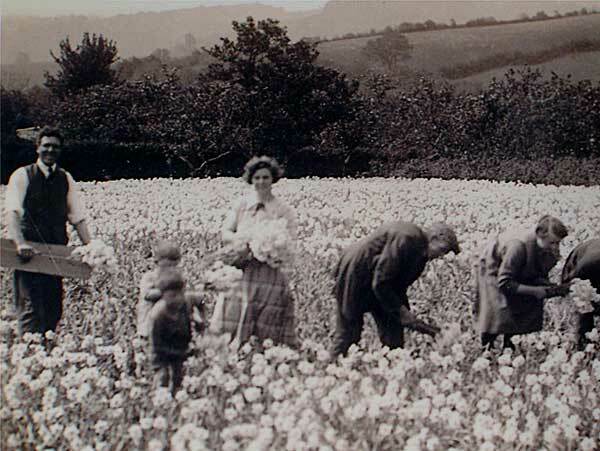 The coming of the railway made it easier to get Cornish flowers to the large number of people who lived in the towns and cities. In 1870 the first box of daffodils was put on a train and sent up to the Covent Garden flower market in London. West Cornwall and the Isles of Scilly are ideal for growing daffodils. 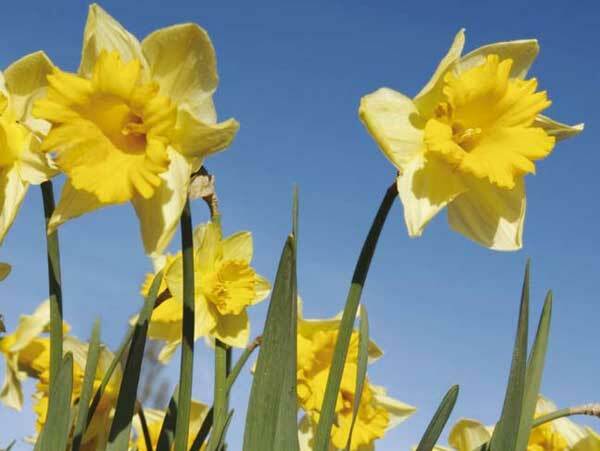 As well as a suitable climate, daffodils need soil that is well drained and easily worked. The United Kingdom produces more daffodils than anywhere else in the world, and about 40% of them are grown in Cornwall. 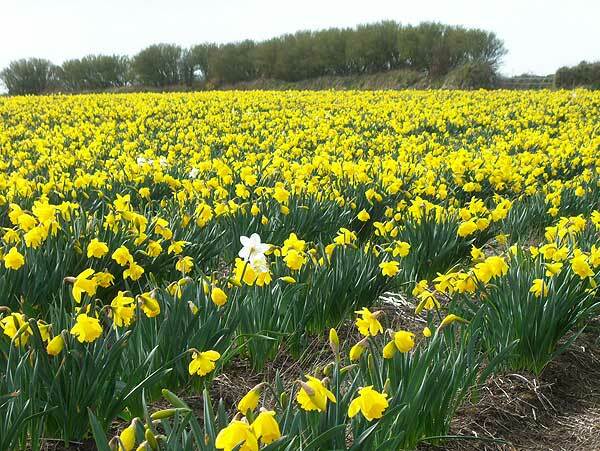 In fact, 20% of the world’s daffodils are grown in West Cornwall and the Scillies; that’s about 60 million flowers. The daffodils are grown for their flowers and for the bulbs. The flowers are picked when still in bud so that they are just beginning to open when they go on sale. The bulbs are lifted in June, dried and packed for sale. Many of them go for export. 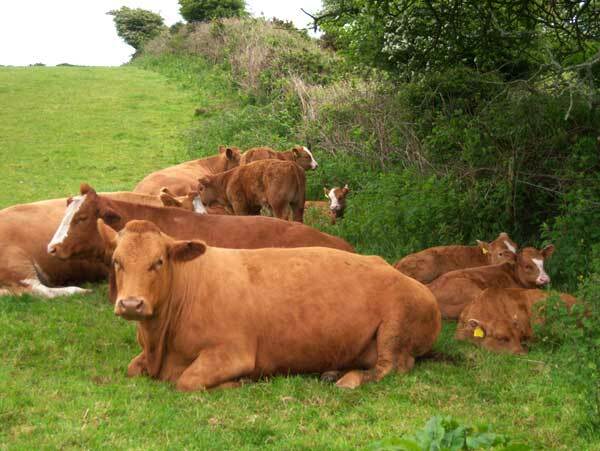 Most cattle are brought into the yard for the winter months so that the grass fields are not cut up by their feet. Sheep may live outside right through the winter until close to lambing time. 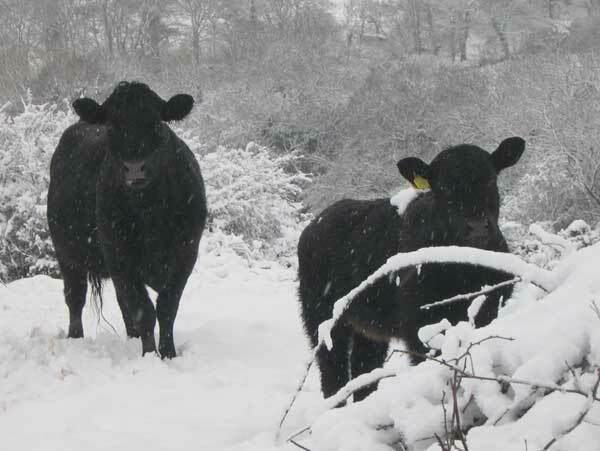 When temperatures fall below 5 degrees the grass stops growing and outwintered livestock will need some extra feed. 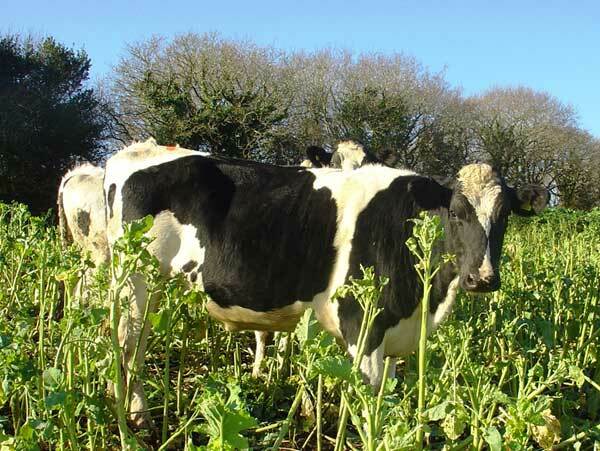 One way of providing extra feed in the winter is to plant special crops like stubble turnips or kale. These are called fodder crops. 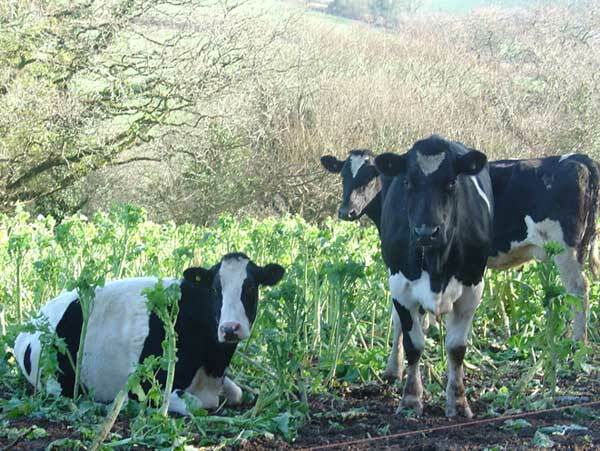 These heifers have been turned into the field of kale. Electric fencing, which can be easily moved, is used to make the animals graze the field in strips so they do not waste too much of the crop by trampling or lying on it. These sheep have decided to help themselves to these stubble turnips. 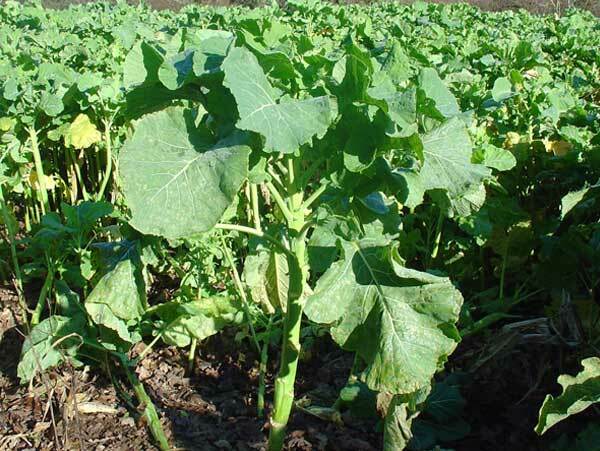 After these winter crops have been eaten off, the fields will be ploughed, ready for a different crop to be planted. 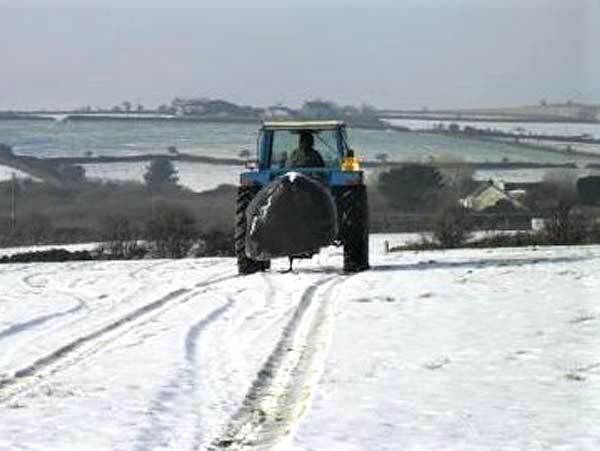 If snow comes, bales of silage or hay are carried out to the sheep by tractor or quad bike. Winter reveals the bare bones of the Cornish landscape, the pattern of the fields, hedges, woods and tracks. We tend to forget how much of the landscape we look at now was created by farmers in years gone by. 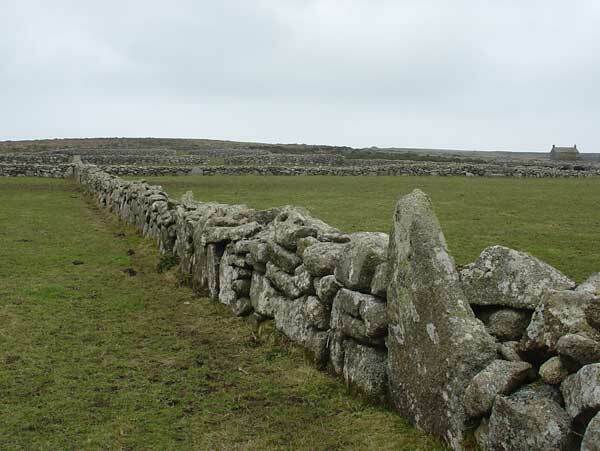 There are about 30,000 miles of walls and Cornish hedges in the county. They were built to keep livestock from straying. 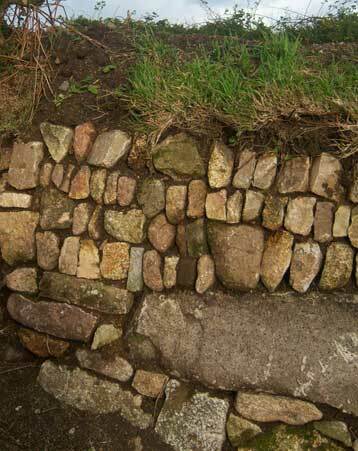 Some of these walls are very old and the skill of building these walls has been passed down through generations. 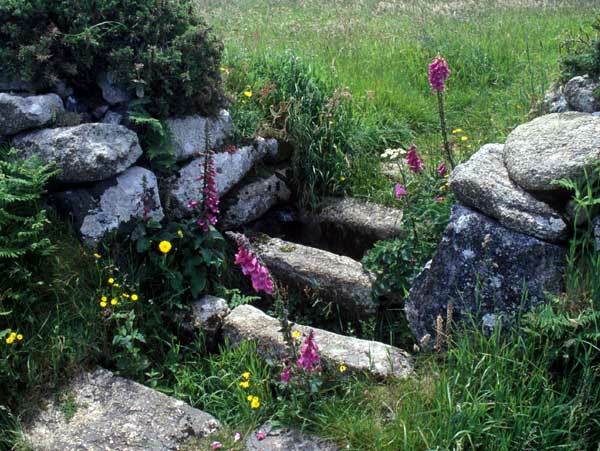 What we call ‘Cornish hedges’ are actually earth-filled walls of granite, often with gorse and thorn growing on top. 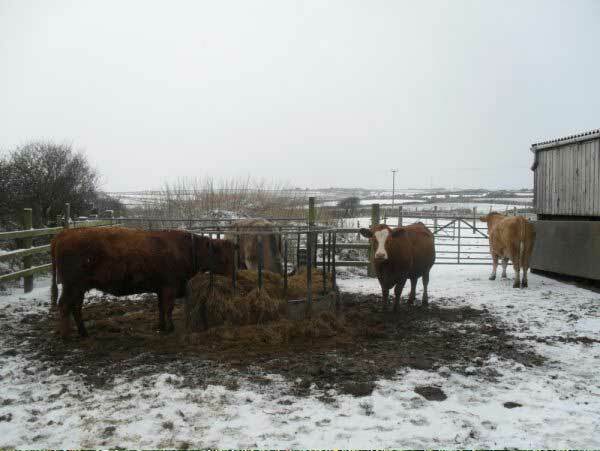 They are an ideal way to provide farm animals and crops with shelter from strong winds. The thorn bushes and gorse on the top of a Cornish hedge are cut back to keep the growth thick and stock proof. 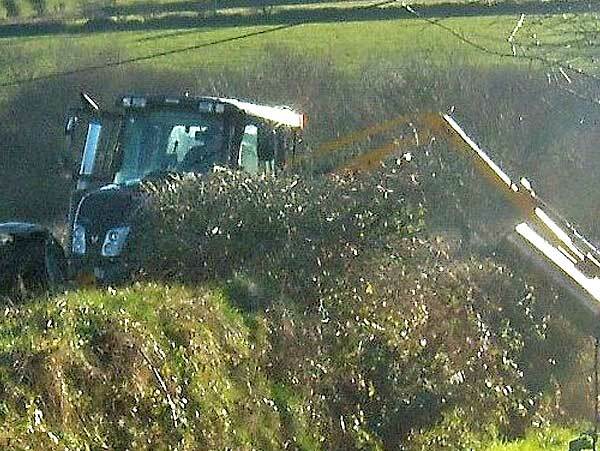 Cutting the hedges in the late winter months causes least disturbance to wild life. Along with the grassy margin at the field edge, the hedge provides an important and very varied wildlife habitat. Trees, bushes, brambles, wildflowers and grasses grow on it. There are stones, twigs and leaves to crawl under and crevices to hide in. The hedge provides a home for insects, birds and small mammals. Rabbits, foxes and badgers make themselves a home by digging into the bottom of the hedge. 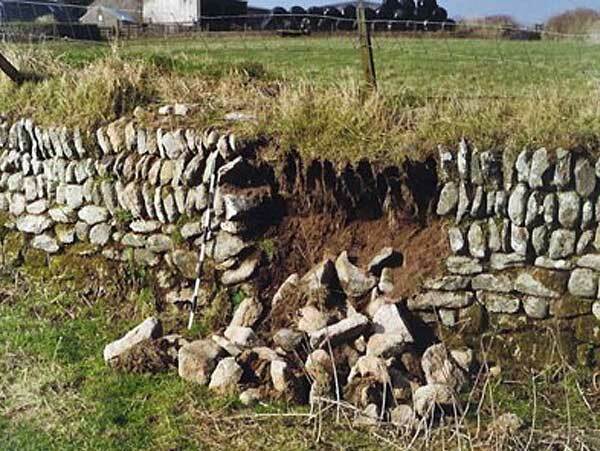 Sometimes their digging causes parts of the hedge to collapse and the winter months are a good time for farmers to make repairs where stones have fallen out.